Do you want to become a CPT but can’t travel to exam centers? Or do you live in a country without testing locations? If so, here's my recommendation for an online personal trainer certification with a home exam. Is an Online Cert Really the Best Option for Your Career? The fitness industry is steadily growing. It’s projected to increase by up to 13% by 2022, which is driving demand for more personal trainers. This growth, combined with the flexible hours and fun working environment, make it easy to see why personal training is such a popular career. There’s no shortcut to becoming a certified trainer though. You need to study hard to learn about anatomy, program creation, nutrition and much more. You’ll also need to pass a certification exam. What if you can’t travel to the exam location though? Or if you want the fastest way to get certified without waiting for an exam slot? In these cases, an accredited online certification could be the answer – but only if you avoid the numerous low-quality and unaccredited websites that just want to take your money. Before you choose an online certification, it’s important to know the process of getting certified. Each certifying body is different, but nearly all provide online and digital learning materials. NASM’s core textbook, for example, is provided to all students as both a physical book and PDF. Many organizations also have offline seminars, classroom learning or training days, but these are optional and often aren’t included in the cheaper study plans. This range of digital materials makes distance learning common for personal training. In many cases, you can gain access to the course materials in minutes. Just because the program's learning materials are digital doesn’t mean a certification is entirely online though. You’ll still need to visit an exam center to get certified. It’s easy to see why this is the case. Certifying bodies want to make sure you really know the material, but how can they do so if you’re at home on your computer? 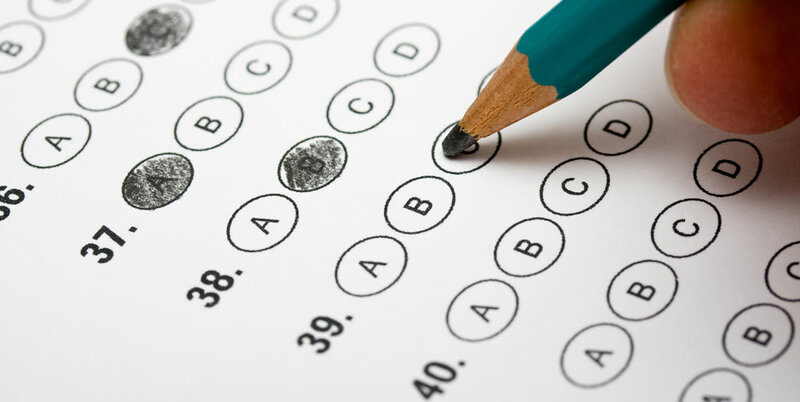 An exam in a test center is arguably more valuable in the eyes of employers too. Many organizations also make a tidy profit off exams, but it’s hard to charge as much when you’re at home! An obvious downside to physical exam centers is that you’ll need to travel to take your test. This probably isn’t an issue if you live in a major city, as most organizations have hundreds of exam locations. Exams usually last around 2-3 hours and are taken on a computer with multiple choice questions, which is why they are easy to offer across the country. If you’re an international student or live a long distance from an exam center, however, travelling to the exam center can be a problem. Even if you can make the trip once, there's no guarantee you'll pass first time. Physical exam locations also have specific slots you’ll need to wait for, so you can’t take the exam whenever you want. That’s why many people look for certifications that provide online learning materials and exams. The obvious benefit is that you can train and get certified entirely from home, without needing to worry about travel costs and distance. There’s also a perception that online exams are easier – although I don’t recommend choosing a course for this reason. So, getting certified at home sound great. It’s faster, more convenient and can save time and money on travel. Becoming a physical trainer is already faster than careers that require degrees - and online certs seem to make the process even quicker. But there’s a catch: you still need to choose an accredited certification that’s accepted by gyms – and there aren’t many that offer online exams. At least, not when it comes to real certifications. There are many reasons why you might want to find an online personal training certification. Perhaps you’re studying internationally in a country without exam centers. Or maybe you don’t have a testing center near you and can’t afford the time or money to travel. With that said, you shouldn’t choose an online cert just because it’s easier to pass. The certification you choose can ultimately affect your job opportunities and career path - don't just choose the cheapest or even "free" options to save money. There’s a big difference between accredited and highly respected programs (such as those found on our best personal training certification page)…and shady “online” certifications from no-name organizations. Yes, these are cheap and accessible. Some may even call themselves "free." But most gyms won’t accept them, so they are virtually useless. They also won’t provide the solid foundation you need to become a successful trainer. If you know which gyms or studios you want to work at, it’s vital to check they accept an accreditation before you pay. This goes for any type of certification or class, not just online. If you don’t know where you want to work, it’s usually best to opt for an NCCA-accredited certification such as NASM or ACE. While these aren’t accepted by every gym, they are widely recognized. The good news is that there is a purely online certification that’s accredited by the DEAC. It’s also well-respected and available to international students. What is this certification, I hear you ask? The International Sports Sciences Association (ISSA) was established over 30-years ago. While it isn’t accredited by the NCCA, which is the gold-standard for PT accreditations, it is accredited by the NEAC (more on why this is important in a moment). Most importantly for this article, both the learning materials and exam can be accessed entirely online. ISSA is one of the only accredited certifications that allows you to take the exam online. This provides faster grading and a more convenient exam process – although it also increases the pass rate. As you would expect from an exam at home, the ISSA final exam is open-book. This means you can use your study materials. You’ll also need to complete various quizzes before you can take the exam. These quizzes don’t count towards your final score though. The only requirement is that you achieve a score of at least 75% to pass your certifying exam. You also need to have valid First Aid, CPR and AED certificates before you take the exam. Unlike many organizations, ISSA accepts online certificates from an ISSA-Approved course. I mentioned earlier that accreditation is one of the most important factors when choosing an online certification. The most common accreditation in the fitness trainer industry is NCCA, and this is probably the most widely recognized too. ISSA is not accredited by the NCCA, but it is accredited the Distance Education Accrediting Commission. This is a federally recognized agency, so it’s a strong accreditation that’s almost as prestigious as NCCA. When it comes to online-only courses, this is as good as it gets. With that said, make sure ISSA is accepted by your primary employment options. Many gyms recognize it, including LA Fitness, Powerhouse and 24 Hour Fitness, but some don’t. Even amongst gyms that recognize it, make sure you check with the local franchise before you sign-up as some may prefer other certifications. ISSA isn't just a convenient certification. I ranked it #5 on my list of the best personal training certifications – and this ranking has little to do with the online exam. What do I like about ISSA though? Firstly, the learning materials are extensive. They include a 759-page textbook, online exercise lab and practice quizzes, which do a great job of preparing you for a career as a personal trainer. There are no in-person classes or seminars, or course, but the materials provide all the information you need to pass the exam. You also get unlimited support and access to a study forum. This beats the support offered by NASM, my #1 pick for a personal trainer cert, unless you’re willing to pay for NASM’s more expensive packages. A bonus is the module on marketing and business. 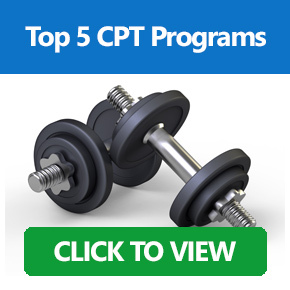 This is often overlooked by CPT certifications, but is a vital part of being a successful PT. When it comes to an online personal training certification, ISSA provides a balanced and well-rounded syllabus. ISSA isn’t just the most convenient certification – it also has the least confusing pricing scheme. There’s only one option, which includes exam entry and all course materials. This costs $599 and even includes the first retest for free. Click here to visit the ISSA website and get started with your personal trainer certification. Note: ISSA requires you to recertify every two years. You’ll need to complete 20-hours of CEUs in that time. In some cases, an online certification is the only option if you want to be a personal trainer. If this describes your situation, ISSA is a great choice – assuming your employment options accept it. Is an online personal trainer course the best choice for everyone though? While ISSA is an excellent certification, it only came fifth on my list of the best certs (you can view the full list here, along with reviews of each class). Other certifications are more widely recognized, so they may be a better choice if you have the option of taking an in-person exam. The most important consideration is which gyms a certification provides licence to work in though. If you know where you want to work and ISSA is accepted, it can be a great choice. 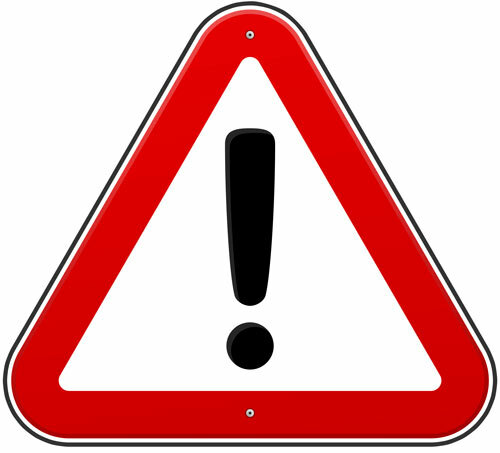 Note: I've warned about cheap online certificates earlier in this article, but be particularly wary of those on sites such as GroupOn. Sometimes legitimate certs offer deals on these sites, but there are also lots of scam or low-quality schools. Make sure a certificate is legit and accredited before you pay. This goes for schools in the USA, Canada, UK and anywhere else. Passing an online personal trainer certification exam is one of the fastest ways to start your career – but only if you choose an accredited and respected organization. My top pick for an online course is ISSA, as it’s the only respected organization to provide a home-based final exam. Make sure you check ISSA is accepted by the gym you want to work at though. If it’s not, check out our list of the best certifications for new trainers.